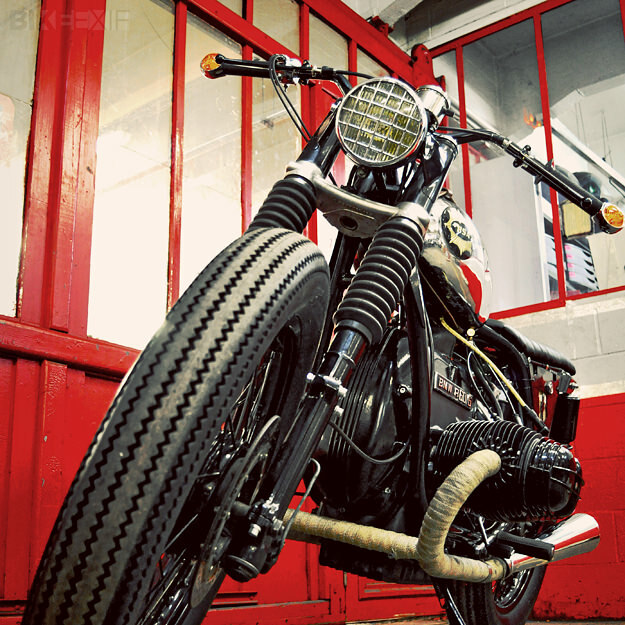 Fred and Hugo of Blitz Motorcycles describe their latest creation as “A gentleman’s bike for a gentleman rider”. But it’s not a conservative, retro throwback. “BSW” is decidedly unconventional, like all of Blitz’s builds so far. 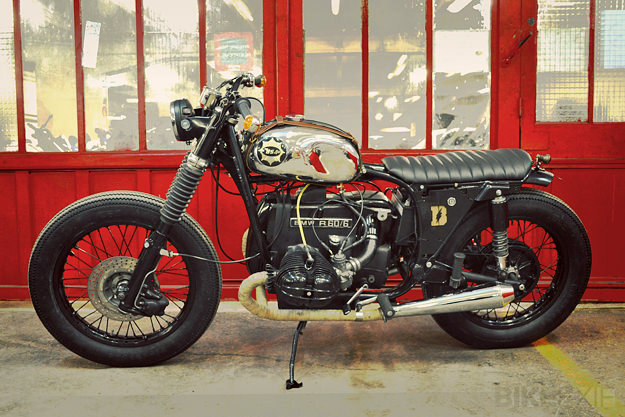 The motorcycle was built for an English customer called John, who lives in Paris. 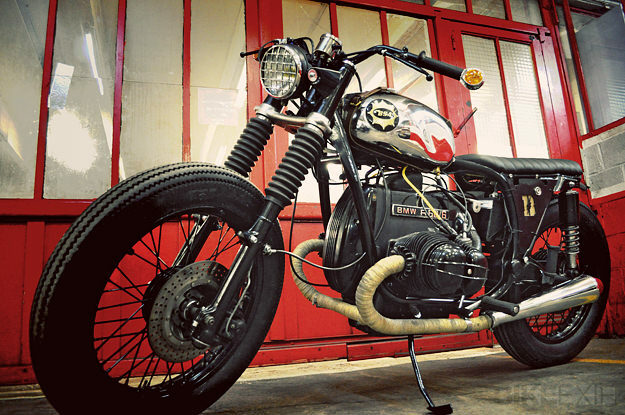 It’s a BMW R60/6, a 599cc airhead that was manufactured in the mid-70s. A strong, economical and relatively simple bike, it weighs just over 200 kg wet and is capable of more than 160 kph in stock form. John is originally from Birmingham, the home of BSA. 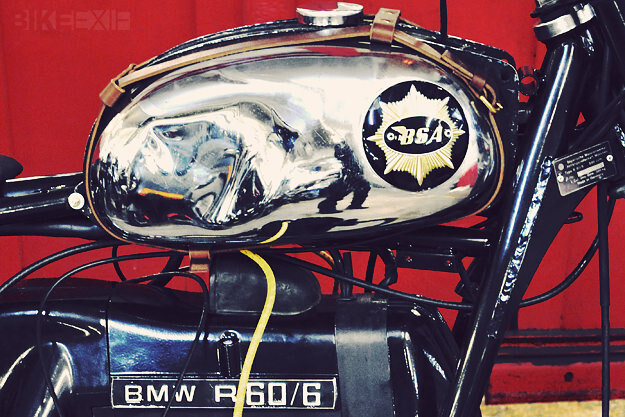 So Fred and Hugo searched for a BSA tank to place on the BMW. (“And of course, BMW + BSA = BSW!”) On a more serious note, the whole bike has been thoroughly overhauled, right down to a change of piston rings. Matte black predominates, in the form of high-temperature paint and powdercoat. There’s a new rear subframe, a bespoke handcrafted seat and custom side covers. 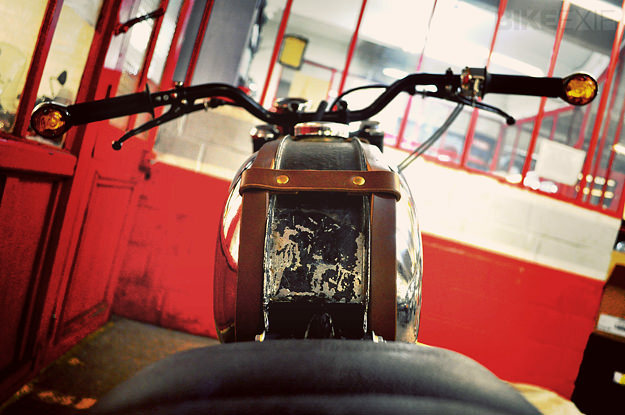 The headlight is from a 1960s French mobylette and the taillight from a 1940s bicycle. More modern upgrades include Tommaselli bars and Doherty levers. 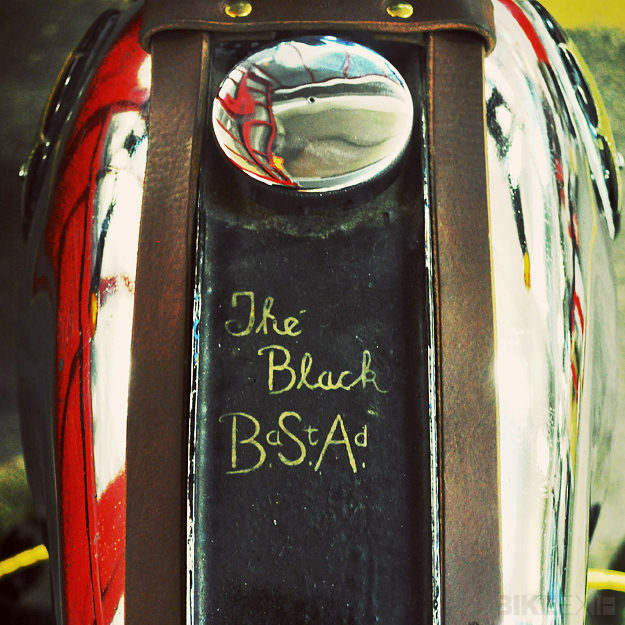 The bespoke tank straps are by Fleet Illya, a London-based leather specialist, but the BSA tank itself is exactly “as found”—right down to the lettering, which was left untouched.